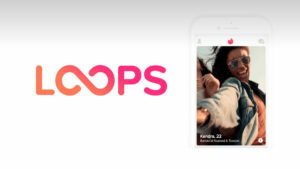 Tinder‘s new video feature, Loops, is rolling out globally, following testing in Canada, Sweden and a small number of other markets. The feature enables users to upload two-second, looping videos to their profile within the popular dating app. Initially announced in April, tests showed that users who added a Loop to their profile saw their average conversation length increase by 20 per cent, while in Japan, where the feature launched in June, users with Loops in their profile received an average of 10 per cent more right swipes. Loops will now be available in 26 markets around the world, including the US, the UK, France, Russia, Saudi Arabia, Taiwan, Singapore and New Zealand. While the introduction of video brings Tinder closer in line with apps like Instagram and Snapchat, video can’t currently be shot within the Tinder app – instead users have to upload and edit existing videos from their camera roll, or, for iOS users, upload a Live Photo. As part of the rollout, Tinder is also expanding the number of images that users can post in their profile from six to nine, in order to make room for Loops without displacing existing photos.